Tyler Winklevoss on the Positive Impact of "The Social Network"
Cameron and Tyler Winklevoss, the twins who remain best known for their legal fight with Facebook CEO Mark Zuckerberg — and the ensuing depiction of that battle in “The Social Network” — have moved on from those days. 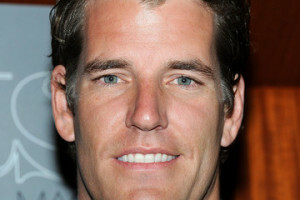 Still, speaking for both men, Tyler Winklevoss recently agreed to share some thoughts about life in the public spotlight and how it has impacted the brothers. Many people in tech and startups know your name but may have an impression of you based on movies and press stories. What’s one thing you wish people knew about you that you feel is misunderstood? I think most people in tech and startups today actually know us through the investments we’ve made, the projects we’re working on, or their own first-hand experience in meeting or working with us. Over the past two years we’ve met with hundreds of entrepreneurs, attended many demo days, and keynoted at TechCrunch Disrupt, the Bitcoin 2013 Conference, and Money20/20, to name a few. We’ve co-invested with many top valley investors, built what we believe to be a strong portfolio, and have worked very hard to bring value beyond capital to entrepreneurs we’ve partnered with. Chances are, if you are a part of the tech ecosystem in either Silicon Valley, Los Angeles or New York, you know us or know someone who really does knows us, and this informs your impression of us, not a Hollywood movie. That being said, “The Social Network” was a fantastic film and it was a lot of fun to watch its success. It was certainly an interesting time back then, but we never got too caught up in it. We couldn’t. Our focus was on training for the Olympics. Today, we’ve traded athletics for Bitcoin and angel investing. The fact that we were portrayed in a film that won some Oscars and almost won for Best Picture is a cool piece of history, but it’s not really relevant to our daily lives. I feel the same way about graduating from Harvard and Oxford and competing in the Olympic Games. I’m proud of these accomplishments, but I don’t spend a lot of time thinking about them. They’re in the past and just not directly related to what I’m trying to accomplish these days. As for what the crowd understands or misunderstands, your guess is as good as mine. At the end of the day, impressions drawn from a movie or a movie portrayal, either right or wrong, live in a parallel universe of pop-culture. This is not a universe that I live in so I don’t spend much time analyzing it. What was your largest takeaway from the whole experience? My largest takeaway is just how powerful films can be. When we graduated from Harvard in 2004, computer science was the least popular major. When we went back to Harvard to speak to students in 2012, computer science was the tied for the most popular major on campus and it seemed like every student was involved in some sort of startup or had plans to be down the road. “The Social Network” has driven a lot of this cultural interest and shift towards technology and entrepreneurship and has had a profoundly positive impact on young people around the world. I’m very happy for this. As you grow as investors, do you see yourselves moving into traditional VC, or being more entrepreneurial and taking investing in a new direction? Right now, we’re really enjoying the freedom and agility that comes with running our own book, and this freedom has turned out to be a great asset so far. If we were operating a traditional VC fund, there’s a good chance we never would have been able to buy Bitcoin back in 2012, because Bitcoin is not a C-corp, and VC funds are, by and large, restricted to investing in corporations. I can only imagine what the conversations might have been like trying to explain what Bitcoin was to our LPs, let alone defend a direct investment in the asset itself. Being a fiduciary to outside parties also makes it a lot more complicated to put on the entrepreneur hat, which we have done with the Bitcoin ETF and the WinkDex bitcoin price index. Bitcoin aside, we’ve been able to place bets in a wide-range of sectors that I think has been crucial to our overall learning. While focus is important, there’s a lot of promising deals in our portfolio that wouldn’t be living side-by-side if we had a stricter mandate. Have you totally ruled out a traditional venture fund? We haven’t, but we’ve never really been traditional guys in that sense, and traditions don’t necessarily last forever. I do believe that venture crowdfunding will replace a significant portion of the venture capital stack in the future. This just has to be the case. Right now we see the majority of syndicate activity at the seed level, but it’s conceivable that later rounds could be filled out by syndicates down the road. By increasing liquidity, access and flexibility on both sides of the ledger, the crowdfunding model has the potential to greatly improve the power of the venture capital marketplace. We’re more interested in exploring this new path before walking down the existing one. Semil Shah is a guest contributor to StrictlyVC. Shah is currently working as a venture advisor to two funds, Bullpen Capital (which focuses on post-seed rounds) and GGV Capital (a cross-border U.S.-Asia fund).